Honor the bravery of a special firefighter with this Firefighter Dedicated Service Award featuring. 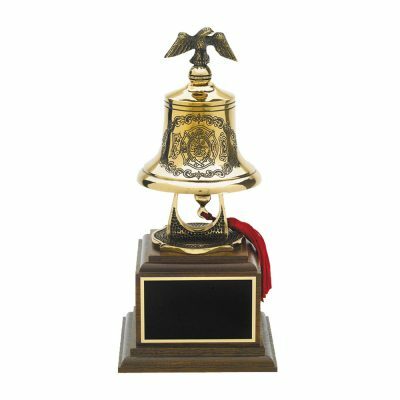 This is made intricately detailed cast bronze bell on walnut base with a plate for your engraving. It stands 9” tall. This would be a great fireman retirement or life member award.